Kalyn Bastion, is an author and co-founder of the Golden Flow™ System of accelerated growth and enlightenment in addition to being a master coach, author and co-owner of an online marketing firm. She created and utilizes the Maven Method™, developed during her ten years of being a life coach. Kalyn specializes in helping clients focus on what will empower them to be who they truly are, by helping them shift their energy, their confidence and their capabilities. Potential is within each of us and Kalyn knows how to help a client move past any blocks or fears that keep them from living this un-limitedness and living their dreams. The Maven Method™ combines Coaching Intuition, Wisdom, and an awareness of Energy to get clients into the Golden Flow™ of well-being. The unlimited side of ourselves is connected to our Source Energy. We all have experienced days and times when we are in the flow or in the zone in which we connect with un-limitedness and things come together as we even bend the laws of form. Everyone can re-connect with this state of being and can get into their flow. This is one of the fundamental goals of Maven Method™ Coaches, to get their clients flowing, or raising, their energy using the Golden Flow™ System. A Maven Method ™ Coach is also an intuitive coach. Kalyn strongly believes that a coach must have wisdom and a Maven’s understanding of human behavior, as a maven is an expert or an accumulator of knowledge. The Maven Method ™ system helps coaches tap into this wisdom so that they understand what motivates clients and how to help them move past the blocks that they can’t necessarily see yet, helping them improve their lives in all ways. Kalyn has been working with clients for ten years. 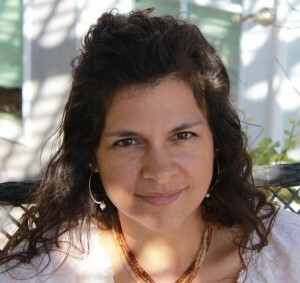 She works with coaches and clients alike in addition to writing and leading retreats and workshops. I’m sure it is no surprise, but I probably know what you’re thinking, what’s a maven? A maven is an expert or a connoisseur. I consider myself to be an expert coach because I have been coaching for over ten years and I certify coaches. I believe that we all deserve the best life possible and that starts with be who we truly and authentically are. When we do, things just come together and miracles are common place because we are in the flow of life. At that point, living an unlimited life becomes more and more our experience. Can you believe that in addition to be an expert coach, author, mother, jewelry and painting artist I also lead spiritual retreats? I have a gift in that I can tune in to what is needed and guide people for several days as they journey into their spiritual connection, through their life challenges, karma and bring them to the life of their dreams. How do I do it? I live what I preach. Over years of my own spiritual and personal development and working with others, I have found the four keys to unlocking what binds or limits you. These keys are 1) Knowing yourself; 2) Allowing; 3) Owning Yourself & 4) Expressing yourself. When I’m getting ready to lead a group on a spiritual journey to a foreign country or just lead my Maven coaching circle, I tune into myself. I go through each of the four steps and suddenly I’m in the flow and I just know what to do. Now, I wasn’t always like this. Actually, growing up I used to feel like I had my foot in my month most of the time because I always seemed to do or say the wrong thing. Can you believe that I am so talented, so capable and so insightful now? But we all have authenticity within us, and I have dedicated myself to brining this out in me, in those I work with and can help anyone who also wants to experience their unlimitedness. To influence and assist others to open to a new world of authenticity and unlimited potential realized. We do this at Coach Maven by offering affordable coaching by Maven Method™ coaching, Certification & on-going support in our Maven Circle — thus providing maven coaches who have great wisdom, clarity & insight to uplift your life. Kalyn is a maven coach, an expert who knows people, their motivations and how to bring about the empowered, authentic and unlimited version of themselves. Kalyn assists clients by looking deeper into them and their challenge to help them shift their energy, getting their energy back in flow and in the direction they prefer. 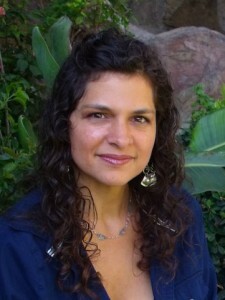 Kalyn is an author and co-founder of the Golden Flow System of accelerated growth and enlightenment. This is a system that is all about energy and shifting your energy in a relaxing and enjoyable way to get your energy back to its natural flowing state. Although some of the soul searching that can be necessary to help a client can be hard to face, Kalyn believes that life is a journey in which we are meant to experience love and joy. She is a confidant to her clients and helps them face any obstacles as smoothly and easily possible so that they can move into their authentic and unlimited lives. For this Kalyn has an arsenal of tools, meditations and techniques that she shares with coaches in her Maven Coaching Circles. Kalyn feels she has been blessed with great help in her life and great teachers, which she shares with an open heart.